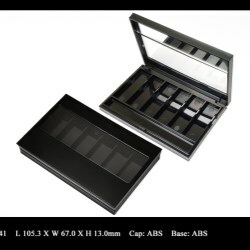 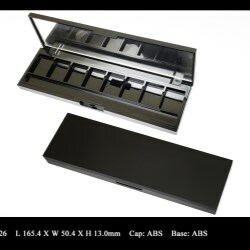 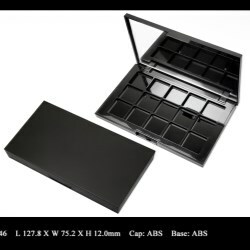 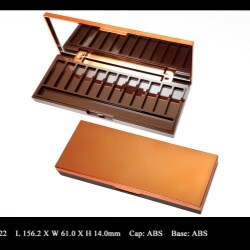 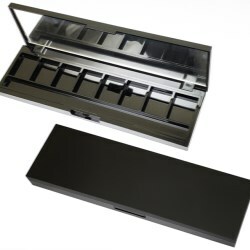 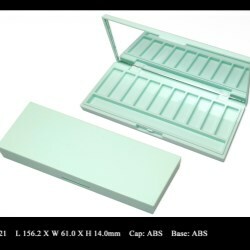 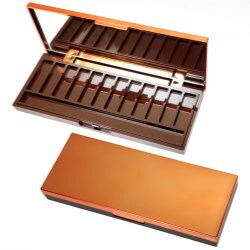 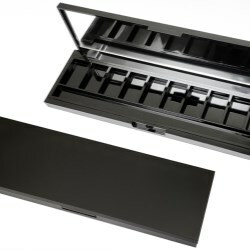 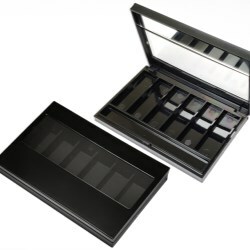 More rectangular makeup palettes are now available in Fancy & Trend's catalog. 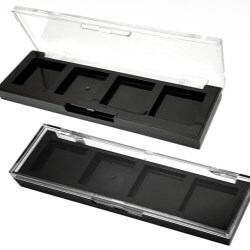 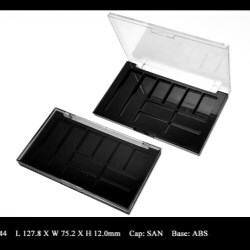 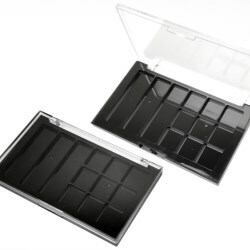 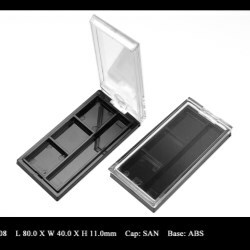 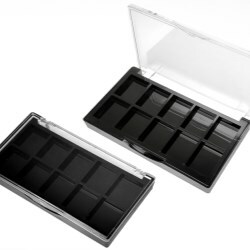 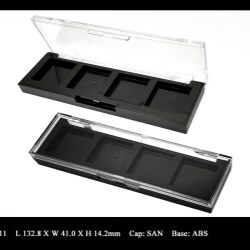 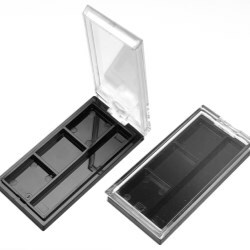 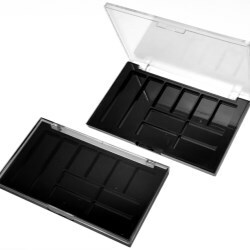 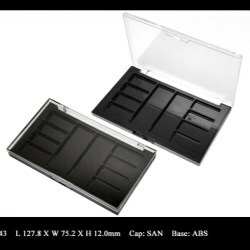 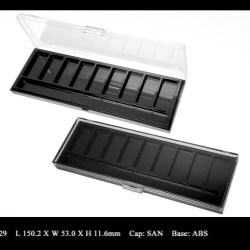 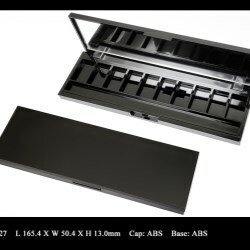 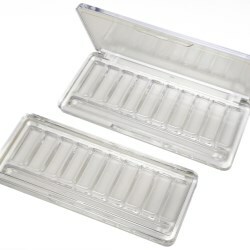 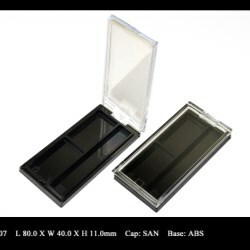 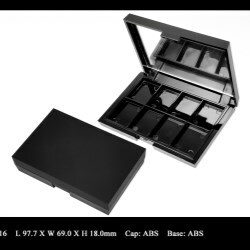 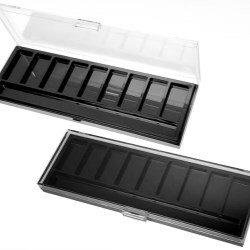 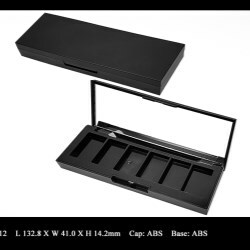 The compact has a tall figure that features two layers of recess storage and a lid with mirror. 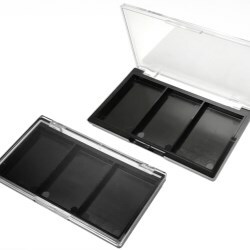 Fancy and Trend introduces two new makeup compacts featuring a clasps closure, one has two large square recess for pressed powder and sponge, the other has 6 recess for godets and 1 recess for applicator. 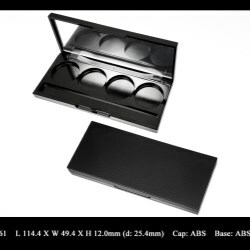 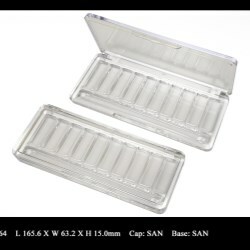 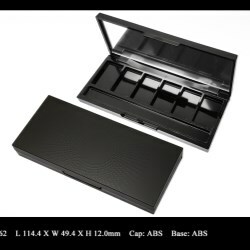 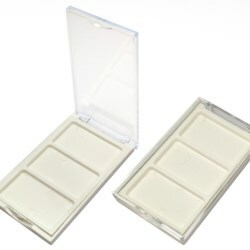 There are 4 different sizes available for this makeup compact series. 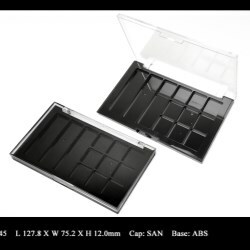 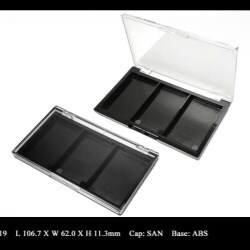 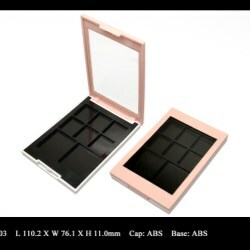 Fancy and Trend introduces 6 different recess layouts for its square cosmetic compact with magnetic closure. 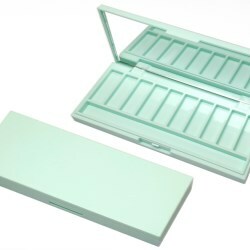 The 3-colored eyeshdaow dompact features an exclusive designed applicator. 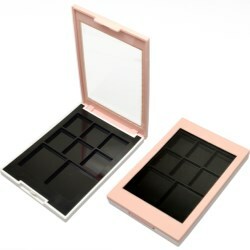 The new cosmetic compact released by Fancy and Trend, is a revolutionary concept to put replaceable color blocks inside a square compact case. 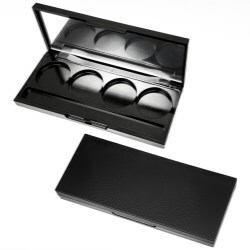 The circular shaped makeup compacts have various styles, either a lid with mirror or window. 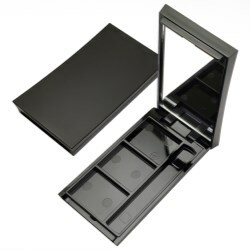 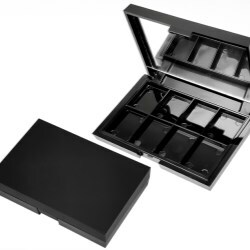 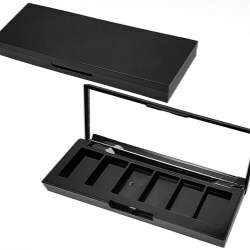 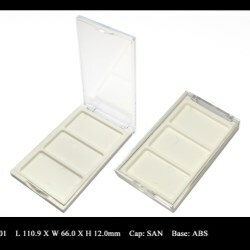 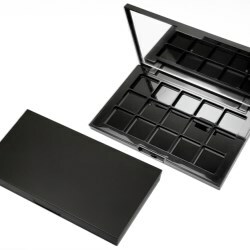 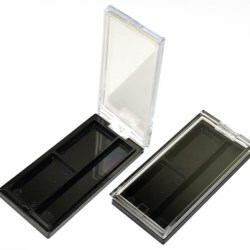 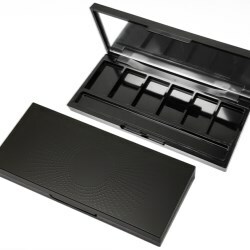 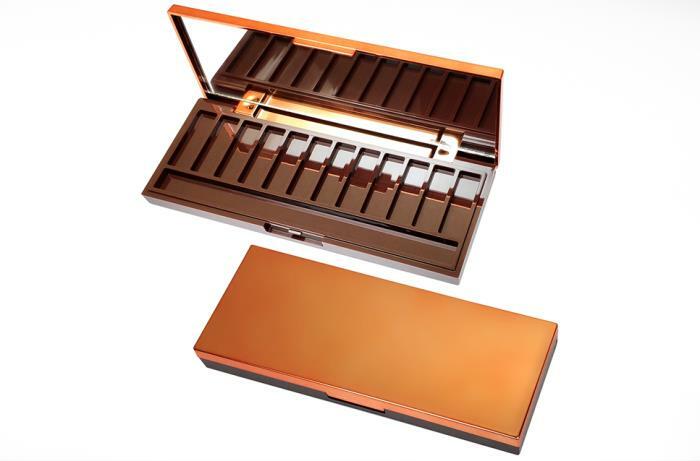 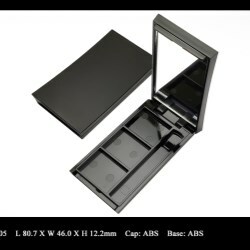 The 2-tiered, circular-shaped makeup compacts have two compartments to hold applicator and godet.